A Year Off School? How Does That Work? Great insight into taking a year off to travel and learn, love it! Mums and dads and kids are filling pencil cases, finding lunch box lids which fit, and labelling clothes just now, ready for the new school year. As are we (not the lunch box or the labelling bit, because we are in France). But what do you do if you decide to take a year, or more, off school? Is that blood on the volcano or lava?? This weekend was another HOT one in Oklahoma, with the highs reaching over 100 degrees. 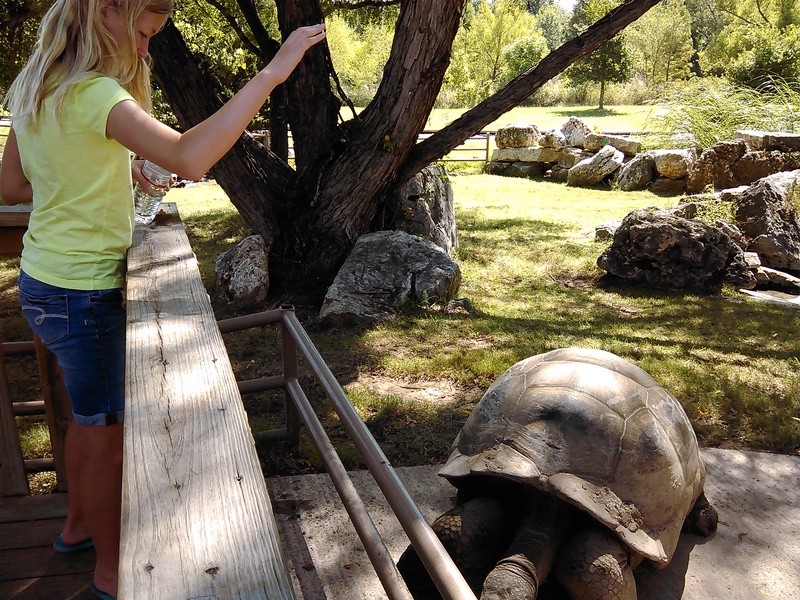 Not to be deterred, my daughter and I went to the zoo this morning before the heat got unbearable. The good thing about a very hot day is that there almost no one at the zoo! We took our time, drank a lot of water and splashed ourselves and each other with it to stay cool. Since I have a membership, I didn’t worry about only seeing a small portion of the zoo, since we will most likely go back again within a month. We seem to find something new each time. 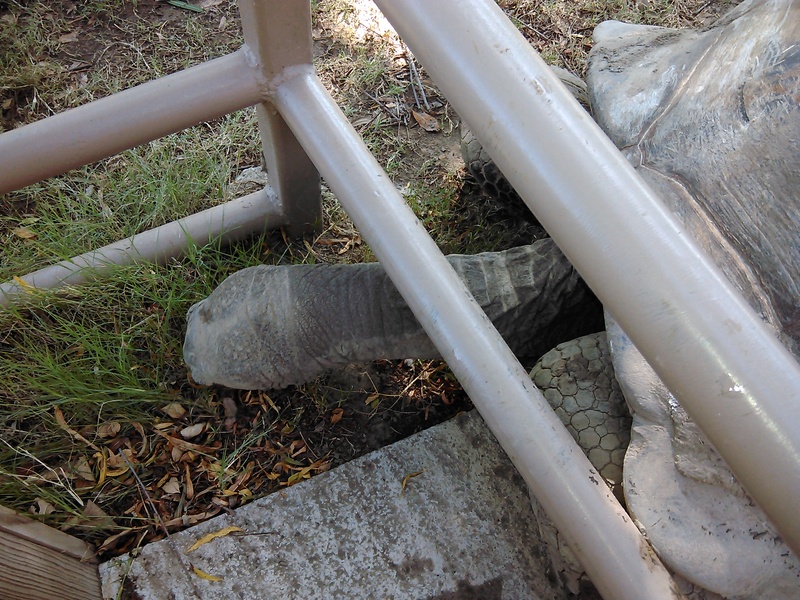 On this visit, the usually elusive Alhambra turtle was right up against the fence to his enclosure, within arm’s reach of us. That was quite a treat, as we go to see how he eats and walks. It was interesting how his front feet curl backwards as he walks then straighten before he steps. He was quite the cute one, apparently way older than I am. I took some pictures in a bamboo grove of trees and by a partially buried dinosaur, which was advertising the Zoorassic Park display at the zoo. We skipped that one, since we had seen it last month. 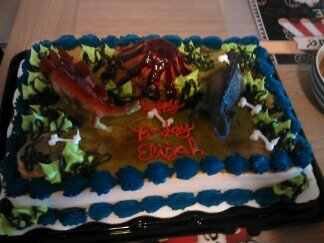 We also celebrated my grandson’s 2nd birthday with a dinosaur cake! Yummy! Up close and personal with Mr. Alahambra.